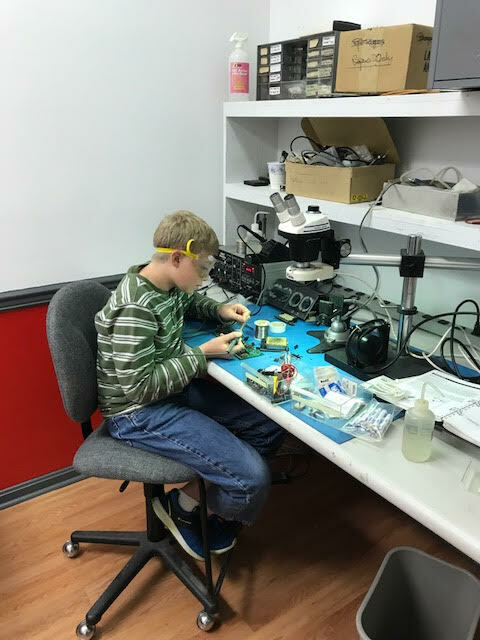 Alexander Stern in The Electronics Shop desoldering a circuit board - one way to learn . . .
Best way to join in is to just come on by. We have Drop-In Open Hours most Tuesday, Wedsnesday and Thursday nights from 7:00 to 9:00. There'll be folks here to give you a short tour, show you around and tell you a bit more about Makersmiths. Bring your ideas, parts, projects . . . whatever.